I feel that timed finishing was a good concept idea. It has a lot of potential. It is a shame how it hasn’t been implemented into this years game play doh. It is very frustrating when you are playing another person online and it is a compedative game. A close contest and all of a sudden from no where a phase of play that you no will lead to a finesse chance hits green. Chances are good it is a goal nearly every time. I feel that maybe when playing online semi assisted shooting or manual shooting is something that could be priority for players. Well after playing with this patch for a week now and around 50 games it's safe to say the finesse shots have been well and truly nerfed. Problem is that AI defending hasn't. The block radius is still massive, I've got opponents AI defenders literally doing karate kicks from yards away to block some of my shots. Add in that 90% of opponents now have no intentions of trying to play football and just play with depth 1 width 1 to crowd the box and have their attackers on stay forward for counters leads to what may be the most boring/frustrating game of FIFA ever. @EA_Andy Please get the team to look into the AI defending for the next patch. The game right now is like playing Squad Battles on Legendary for most of the game. Player switching could use a little TLC as well, this would really bring down the frustration levels imho. The newest Updated is in my eyes and a Lot of other people the baddest de eher saw. Tue Game is now unplayeble. Pls so something to safe Fifa. In my opinion was the Fifa when it came out the best! All I ask is to have more than 4 career save spots. It doesn’t seem like it would be that hard. Makes no sense that we should be limited by anything except our imagination and data storage space. Please fix this please! I love playing different careers but shouldn’t have to delete them. I haven't seen any block radius being "massive"
All I'm trying to say I don't have a problem with the AI defending in being too strong, my experience it is weak. Idk where are you at in FUT, I'm in D4-D3 and usually in G2, for me it's very noticeable and looks like for many people on this forum it also is. And again, this is something that was already fixed in the past. Just played my first couple of matches with the new patch. Just got promoted to ball boy by the way. Woohoo! 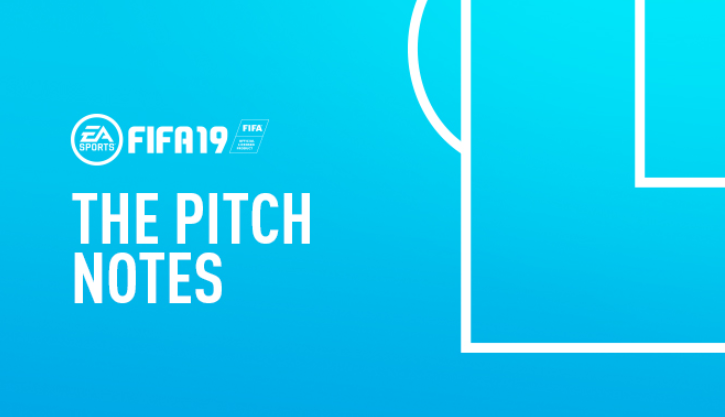 #1 - I am playing squad battles to get a feel for the new timed finesse shot patch. Even with a perfectly balanced timed finesse shot from the top of the 18 my shots have not even been close. Green light, controller vibration with highly ranked top of the box killers, the shot is drifting 20 yards over or wide of the post. What's going on here? Are we weaning off of our timed shot meds? #2 - Tried turning timed shots off to see if we can just place some nice powerful precision shots in the upper 90. Again, not even close. The shots are lacking power and drifting high or wide. #3 - Ticky tacky baby! No precision, short passing and power shots does the trick. Short pass, faint pass, pass, lacroix, faint, pass, pass, pass, through ball, power shot = goal. Or just proceed as usual and throw some fast wingers on the edge and continue crossing into "The dangerous head of Ronaldo". The guys head is made from a Titlest pro v 1 golf ball. It's got some great buoyancy! #4 - Sell your ACM's who had excellent shooting and go with a bunch of Modrics with great passing and dribbling. Get strong, fast powerful shooters who do not require precision up front and pass, skill move pass, pass, skill move, pass and blast away! P.S. If your ping is over 20 for divisions and champions don't even attempt a timed finesse. These are facts. We've adapted our playstyle because EA changed the way the game is played. Hours upon hours of building and reworking squads to play to the strengths the gane gives us. These are precision timed shots. Sure, you're top #100 may complain when Modric puts one in the upper 90 with a perfectly timed finesse shot from 20 yards out, but don't fu**ing nerf something that we've worked on perfecting and have built our squad around. I just popped 6 shots off the bar on a match when I had beautifully placed precision shots to a freaking bicycle kick on a low driven cross to Verrane!!! Messi was already a substitute at best as he just falls over when touched. The best thing going was his ball handling to get in space and precision shots from the top of the 18. CB's can bicycle a ball in the top upper corner with literally a 2 yard margin from the out of bounds line and the near post with a low driven 80 mile per hour cross while Sergio Ramos is fronting him and De Gea right behind but Messi can't put a ball in the back corner from the fu**ing 18 yard box with his left foot. This is a shame. I think tone down A.I. defending a lot and we have a game! Agreed. You can't nerf shooting without nerfing the AI defending. I can understand wanting to decrease the amount of precision shots hitting the net from 25 yards out but the amount of deflections from auto lunging AI defense is crazy. The way around this was to bend shots and since the power and accuracy have been nerfed the AI shot deflections are now out of control. This nerf basically caters to a small group of playstyles. Mainly your top tier players which is great and all but it less than 1% of the community. Ticky tacky and just lobbing in crosses from the outside the entire game so we can get bycycle goals from a CB. Samedo just hit a lunging volley from the 18 yard box from a whipped in cross. Yesterday Verane did a bicycle kick goal on the near post while Ramos was fronting him. Messi just got sold because he's not even a bench player anymore. The guy bounces off defenders like a ping pong ball in actual real life games and rarely goes to the ground and is probably the most skilled player in the history if football but has a 4* skill and just falls to the ground or gets stripped if anyone breathes on him. You have to arrange the line up in every single game plan in the menu before you play a match. I have no idea what you're talking about here dude , Finesse shot is totally useless at this point . From the 100 finesse shots i have attempted passed days like maybe 5 got in . Pre-patch finesse shots were OP as hell but now , its a joke how bad it is . Really time wasting ? I harbor no ill will toward time wasters when scripting rears its ugly head and a game you worked so hard in is lost because obviously EA can’t create a game good enough without putting one or two scripted goals in there or at the very least influencing those goals. All the years i played this and everyone always said “git gud” or “ get better” . Now its whine until they patch it back to the same old piece of dung we get year in and year out . They put new features in and instead of teying to get better they whine about how people are beating them ...what happened to get better’ its only ok when you are not the one who has to get better ? This game is so bastardized from the release and what was advertised that you’d be able to do i want a refund. Its not what i was sold. It is now a collection of crap catered to whiners and streamers who can’t take their own advice and learn the new and get better. No because EA has no fortitude and will cave and cater to the complainers . These latest updates are so frustrating. I understand your need to reduce scoring. So you adjusted timed finishing and I'm ok with that. But why make changes to the defensive AI that are unbearable to play against? Changes made it so that my 90+ forwards, with backs to the goal, can't receive the ball. You made poor defenders CBs or CDMs below 79 overall seem like 95+ Ramos. Please dont ruin this game. I was enjoying it thoroughly. "Comparing identical settings in different stadia sometimes yields different results because we need to limit – severely, in some cases – how far the user customization can take the camera from its original setting. This limitation always happens for a reason. In most cases it is related to stadium structure or the crowd getting in the way of the camera if max customization is allowed. Changing the structure of a stadium to improve this is not an option for authentic grounds for obvious reasons, but even in generic ones it could mean significant impact on other features and cameras." TF nerfing is fine but where is now the balance?`When then minimize again the window of a green TF and these shots must be 90% a goal at the end. Then when you hit yellow and you are near to the goal like 6-11m should be go in the rest should fly somewhere around the goal. Next and the biggest f***** problem of this game is what? Your servers! Are you suprised? Give the community what everybody wants/say also the esport section that is better servers without delay and all that crap! You learned since 2017 nothing when you started with your super dedidcated servers it was just a suicice from this view. When your dedicated server wouldnt be near 24hours overloaded with out of sync etc. I swear 80% would be happy of the community. I will take some popcorn and wait for the first **** at twitter from the Pro's and after the next tournament you will see and hear what we all think about this patch. It was a good attempt but this patch is to 20% complete the rest of the 80% your tweaked this critical points in a bad way. I hope you have to Fifa20 a new programmers team in the headquartier which can analyse the problems of the game and fix this things how it should be. How long before I can play as Almiron for Newcastle United? How long does it take to update sqauds after January transfer window closes? It was the best FIFA ever. Lots of beautiful shots, volleys, bycicle and long shots. Now with this RADICAL change it is not fun anymore (for those that enjoy playing against the CPU). I mean, i get it. It was annoying those Timed shots, back shots in the Rivals and that had to be nerfed. Couldn't it be applied only to player x player games ? All that update did was to NERF players, what about the player / customers that only want to have fun in Squad battles, carreer mode or whatever. I would hope the update would make player x player games to be balanced. (Surely is not late to undo that). Not ruin all the game fun for those who just enjoy the game against the CPU. There you go. It WAS the BEST FIFA. Now, i dont think i will be buying FIFA 20 or other FIFA for thar matter. This last update has completely ruined the game. You are not able to score unless you pass the ball inside the box and tap it in if the game lets you make the pass. It's all everybody does anymore since you can't score from outside the box. There was 100 other things they could have fixed before they completely screwed up the shooting. Not even fun to play anymore...fix the damn game EA.